Dr. Motion’s everyday compression socks are designed with your wellness, comfort and style in mind. Compression socks are most widely known for their athletic benefits (i.e. enhanced performance, expedited recovery, etc) and medical uses (i.e. treatment of varicose veins, spider veins, lymphedema, etc). Often, these compression socks are extremely tight (15mmHg+) and uncomfortable to wear for long periods of time. Our compression socks feature a mild compression level of 8-15 mmHg which make them extremely comfortable to wear all day, every day. Our products are perfect for travelers, athletes, people who sit or are on their feet all day and etc. You understand the benefits of wearing compression socks but maybe you don't want to buy compression socks because they're not stylish. 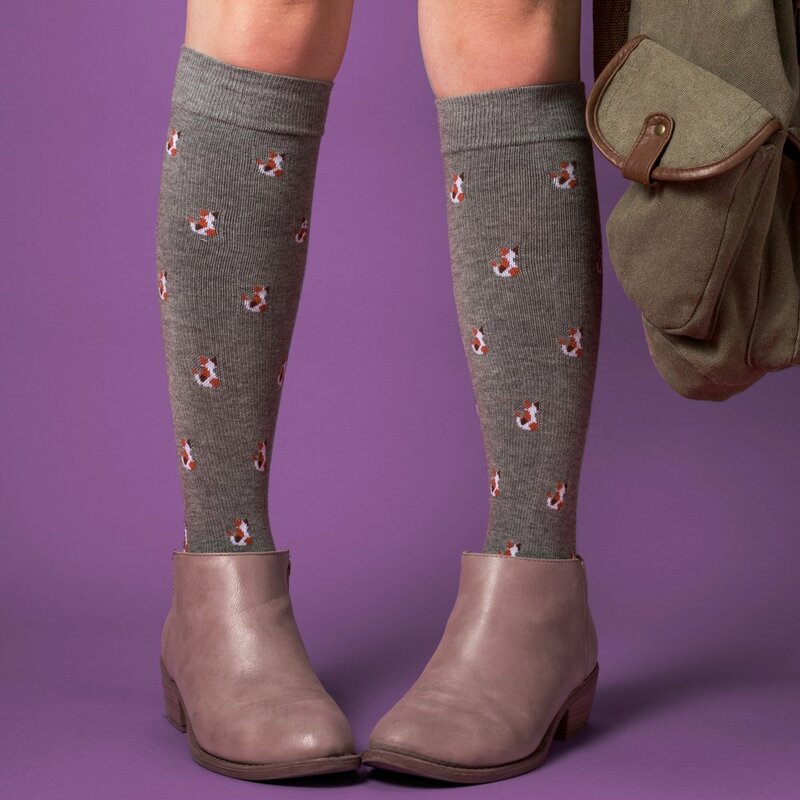 To be an "everyday" item, we have designed our compression socks to fit flawlessly into your daily outfits with styles that range from basic with subtle details to fun and fashionable. Comfort, quality and function are our top priorities but style is never neglected. Without sacrificing quality, our goal is to promote wellness through compression socks for all with quality, comfort, style and at price points that won't break the bank. Dr. Motion everyday compression for women feature basic and fun styles to match every woman's style. Our men's collection are playfully designed for men. We are the most accessible brand of compression socks on the market in every way. Find our latest products online and in-store!